The Corrections Center exists to secure offenders in a safe, humane, and secure custodial environment, while employing the highest levels of corrections legal practices, and by challenging inmates to gain personal growth through partnerships with all communities. 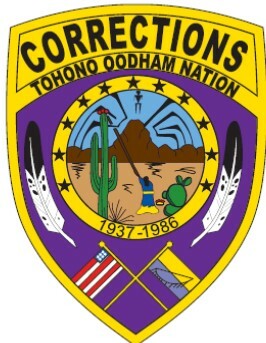 Corrections provide secured housing cells for inmates that have been arrested and are waiting trail or have been convicted of a tribal crime, and sentenced to serve their time in the Tohono O’odham Nation Corrections Center. Correctional Officers provide oversite of the corrections center, providing care, custody and control, while maintaining the up most professionalism to staff, community, and inmates. Leading by example we like to work with the idea of “respect and dignity” for all who we come into contact with.